Let’s not kid ourselves; the array of labels these days gets confusing! Fair Trade Burlington Network wants to help inform you of the labels that are involved with the Fair Trade Movement. Consumers will need to do some homework to understand the many differences among all the logos now associated with Fair Trade. The differences may be substantial. For some, learning about a particular company and having confidence in that company and its fair trade values may, in the end, be the best guide in choosing one product over another, even if there is no logo. Let’s navigate through the labels so that you can familiarize yourself with the different seals associated with fair trade products. The Fair Trade Federation (FTF) is a trade association that strengthens and promotes businesses that are fully committed to fair trade; including both farmers of food products and handcraft artisans. What does it mean to be fully committed? It means that every aspect of the business, 100% of the products, is dedicated to fair trade. The federation has a sister organization, Fair Trade Resource Network (FTRN), which serves as an information gateway for consumers like you who are interested in fair trade as a way of life. TransFair USA, who has now changed its name to Fair Trade USA ,owns the rights to use this logo above and represents that it is a third-party certifier of Fair Trade products in the US. Third-party certification means that they audit transactions between US companies offering Fair Trade Certified™ products or ingredients and the international traders from whom they source. If a product boasts the Fair Trade Certified™ ingredient label it means that one or more ingredients within a product is Fair Trade Certified™. However, this does not mean that all the ingredients comply with Fair Trade standards. The Fair Trade Certified™ ingredient seal will have the name of each ingredient that is Fair Trade Certified™. Fair Trade USA is in the process of creating new, and some consider lower, standards for how their logo can be used. 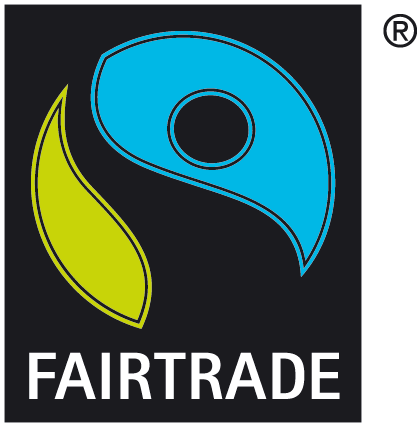 This Fair Trade logo is found throughout Europe, and more recently within the U.S. Fair Trade International, formerly called Fair Trade Labeling Organization (FLO) coordinates Fair Trade product labeling at an international level. It is an umbrella organization based in Bonn, Germany, that sets standards and prices for agricultural products. FLO International: is a non-profit involving 24 member labeling organizations, producer groups, traders and external experts who develop the international Fair Trade standards and minimum prices for individual products. The process ensures that a broad range of viewpoints is offered in setting and reviewing Fair Trade standards. There are standards for different categories of Fair Trade, producer standards and product standards. Collectively, these are the requirements that producers and traders must meet for a product in any country to be Fair Trade Certified by their members when it hits the shelf. Keep in mind some certifiers may not be members of FLO and thus may follow a different set of standards and criteria. There are other Fair Trade Logos to watch for as well. Fair For Life and Fair Trade Proof are now found on products being sold in the U.S. In addition, there is the logo Food Justice Certified. 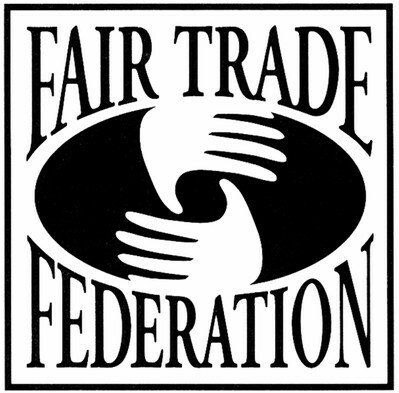 Fair Trade USA is implementing a new logo that will eventually replace the traditional black and white one seen above. All these logos stand for different criteria and standards, with the potential to confuse consumers and reduce the value of branding of any product as fair trade. These labels are indicators of how socially responsible consciousness is entering the marketplace thanks to fair trade consumers like you! The challenge for consumers is to decide which logo(s) are ones that honestly reflect the values the consumer is looking for. Keep in mind there are companies that are 100% committed to the Fair Trade principles who have chosen not to use any logo. These companies inform consumers of their particular fair trade values through marketing on their packaging, in their websites and other online media, and through their own educational efforts. We’ve made a visual guide that covers almost all of the Fair Trade logos/seals at least 3 you don’t have listed here. I’d be happy to send it to you.